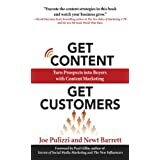 Check these Joe Pulizzi books and eBooks on content marketing. He is the founder of Content Marketing Institute (CMI), the leading content marketing resource. Joe Pulizzi began using the term ‘content marketing’ in 2001. Joe is the winner of the 2014 John Caldwell Lifetime Achievement Award from the Content Council. 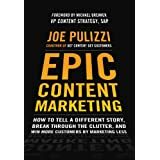 His book ‘Epic Content Marketing: How to Tell a Different Story, Break Through the Clutter and Win More Customers by Marketing Less’ was one of the “Five Must Read Books of the Year” by Fortune Magazine. The author has spoken at more than 400 places in 14 countries about content marketing. 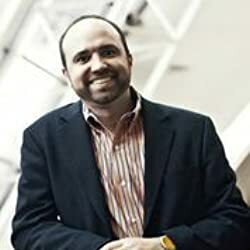 Joe Pulizzi gave speeches at SXSW, NAMM, Oracle Eloqua, DuPoint, Fortune Magazine’s Leadership Summit, SAP, HP and Dell. The book is the Amazon bestseller and one of five must-read business books by Fortune Magazine. 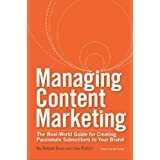 In his book, the world’s leading content marketing expert Joe Pulizzi tells you about how to create engaging content that people love to read. The author teaches you how to capture customers, how to build trust as an expert and how to grow your profits. A must-read book for online marketers! Good content capture customers. Now, content marketing is a tool to build your brand and trust and to build a loyal customer base. But how to manage content marketing on your budget? Joe Pulizzi teamed with Robert Rose explain about a content marketing strategy that works for your business. The book will give you content ideas that create passionate subscribers to your brand. This is the latest book by Joe Pulizzi. The book introduces a new business model for startups and entrepreneurs to build a massive online audience. Joe teaches how to become an informational leader in your market and develop content like an expert. Read and learn more about the author’s new work. What content should you produce to turn prospects to buyers? People love content that will improve their lives. Read this book and create compelling content to connect and win more and more customers. Worth reading! Have you ever read one of the above books or eBooks written by Joe Pulizzi? Provide your valuable comments about this content marketing expert and share this page to your social friends. 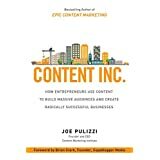 Check these Joe Pulizzi books and eBooks on content marketing. He is the founder of Content Marketing Institute (CMI), the leading content marketing resource.